In a time lost to history, when the gods still walked among the mortals the power thirsty Nibelungen Alberich (a nightdwarf), steals the magical Rhinegold from the daughters of the Rhine. This act will change the worlds of the Gods, Titans, Spirits and mortals forever. With the powers this treasure holds he is finally able to fulfill his long last dream; to become the ruler of Nibelheim and the entire world. As Alberich and his legions start their tour of death and destruction he is not aware that he will play a key role in a deal between Wotan, the supreme leader of the gods, and the mighty Titans….The campaign will take you from the dark underground world of Nibelheim along the various races which live by the Rhine up into the realm of the gods themselves…….and back.You take control of Alberich, his Generals and his legions as they proceed to meet their destiny…. The Rhine Gold AoM TT campaign is based on the first Opera in the Ring of the Nibelungen cyclus by Richard Wagner. Basicly the story of the campaign is all made up (by me) in order to make it more suitable for an Rts game like Age of Mythology. The original Wagner tale is incorporated into the story of the campaign…..so if you are looking for the original Nibelungen story check the ancient Nibelungen Lied poem….or check Wagners stuff( which is basicly also an adaption of the orginal tale). More inforamtion on Wagner and the Ring of the Nibelungen here. Need tips/hints or a walktrhought? Try to check the QUESTIONS, TIPS AND HINT THREAD in the Vandhaal forum. This is my first ever Age of Mythology the Titans hobby project. Dont ask me why I made a large campaign as a first personal Age of Mythology project ever….I’ll guess temporary insanity or something..anyway I learned along the way as I created it to work with the triggers and in the AoM TT scenario editor ( i knew nothing of this all before i started with this campaign)…..if you know where to look carefully you will see this “learning curve” also in the trigger work, However looking at the reactions which i got from many people and the amount of downloads this thing got, I, all in all, don’t think that I did such a bad job for a first effort. The sound/dialogue tracks are based on Leitmotifs just as the original opera. A nice story line. Links to the next parts of this tale (The Valkyries, Siegfried and the twilight of the gods) are embedded in the storyline. In some scenarios the player can use the Rings shapeshifting power. 18 custom made overlay images. Well a lot more of stuff which you have find out yourself. Check also the DvD video: The Clash with the Gibichungen. All Ring of the Nibelungen screenshots can be found in the Age of Mythology The Ring of the Nibelungen act1: The Rhinegold gallery. The Ring of the Nibelungen act1: The Rhinegold campaign for Age of Mythology the Titans download. Download this Vandhaal joint and enjoy Guys & Girls. The download package contains all you need to enjoy this campaign for your AoM TT game: campaign file, scenario files,custom music folder, custom campaign menu overlay images, read me. 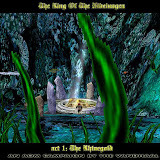 The Ring of the Nibelungen act1: The Rhinegold campaign AoM TT campaign is downloadable on various locations. There are millions around the Internet. If the above download links do not work for you just message/ post a comment to The Vandhaal. The file has a size of 10,63 mb. The download package is compressed with winzip. Please make sure you read the included Read me file before installing the campaign.